The secret to getting a restaurant-quality sear on your scallops starts long before you heat the frying pan, and it’s an important step that will give your dish a professional level taste. The issue most home cooks have with getting that lovely crust on their scallops has nothing to do with their abilities: it’s the scallops themselves. Most scallops are soaked in a phosphate solution that allows them to stay fresher longer. This same solution prevents the little sea creatures from searing properly and instead lends a slightly “soapy” taste once cooked. The answer: either buy freshly harvested scallops that never see the need for this freshness extending liquid (hard to do in the vast majority of the world), or give them a good soak in a nice brine. A brine will help “wash” the solution out of the scallops, letting you avoid the soapy taste, and giving you a nice crust. It’s the easiest way to impress your dinner guests with the best home-cooked scallops they’ve ever had. Yield: 4 servings. 1. In a large bowl stir together the pale ale, salt, water and lemon juice. 2. Add the scallops, cover and refrigerate for an hour. 3. rain the scallops and place on top of a stack of paper towels. Add another layer of paper towels and allow to drain and dry for 15 minutes. 4. Make the romesco. Add the almonds to a pan over medium high heat. Pull the pan back and forth across the burner to toss the almonds until they have lightly toasted, about three minutes (keep a close eye, they burn quickly). 5. Add the almonds, red bell pepper, garlic, tomato puree, parsley, beer, red pepper flakes, smoked paprika, salt and pepper to a food processor. 6. Process for about one minute, then slowly add the olive oil until well combined (romesco can be made several days in advance, store in an air-tight container in the fridge until ready to use). 7. Melt two tablespoons butter in a skillet over medium high heat until very hot. Add the scallops, flat side down, and allow to cook until a dark golden brown crust forms on the bottom, about two minutes. Flip and cook until seared on the opposite side. Remove from pan when a slight hint of translucent pink still remains at the center—don’t overcook. 8. Melt three tablespoons butter in a large skillet over high heat (you want the asparagus to form a nice char but to still retain a good bite and not get soggy, if the heat is too low the asparagus will overcook before getting the desired char). Add the asparagus, tossing until most of the asparagus has charred slightly on one or both sides, remove from pan. 9. 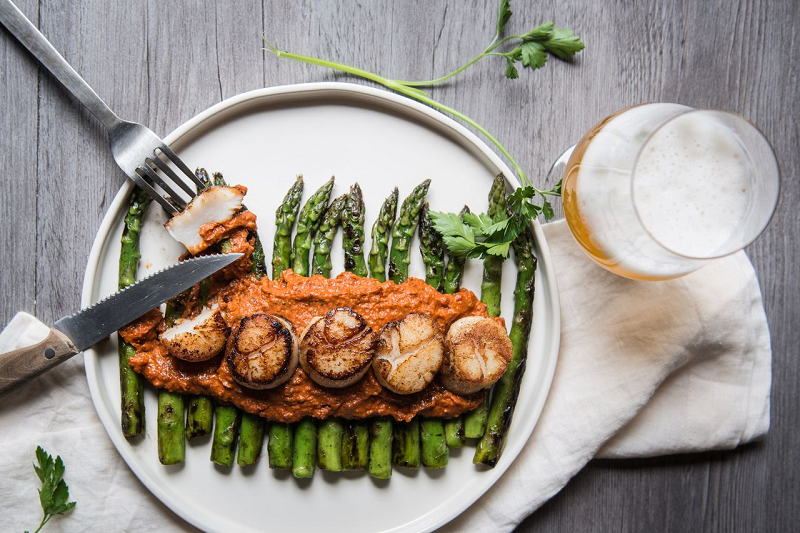 Plate the asparagus, top with romesco sauce and scallops, serve immediately. Brewers continue to experiment with specialty ingredients, pushing the boundaries of flavor. 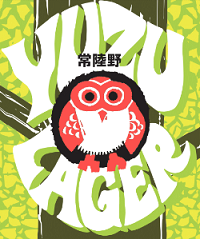 Since a good beer deserves a good meal, All About Beer Magazine asked Jackie Dodd, founder of TheBeeroness.com, to taste a few beers brewed with yuzu fruit and offer tasting notes and pairing suggestions. Get more pairing ideas and recipes at allaboutbeer.com/food. 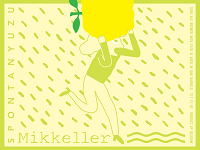 Tasting Notes: Aromas of yeast, straw and citrus with a hint of chili give way to a pleasant sourness and upfront flavors of citrus. The chili flavor hits well in the back of the palate, a mild but pleasant heat that takes its time showing up. Overall the flavors are vibrant but pleasant and not overpowering. Pair with short ribs, glazed ham and Bánh mì. Tasting Notes: The flavors in this balanced lager are bold without being overpowering. The Yuzu brings strong citrus notes along with the pith of the peel. 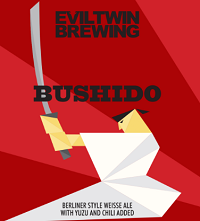 A nice sharp bitterness from both the fruit and the hops give the beer a nice brightness that makes this a very drinkable beer, and one to pair with sushi, grilled vegetables and barbecue chicken. Tasting Notes: A solid malt backbone carries flavors of citrus, candied apples, grass and bread. It’s much sweeter than the other two, with a thicker mouth feel. Strong but approachable flavors would pair well with desserts like cherry pie, bananas Foster or baked brie with apricots.